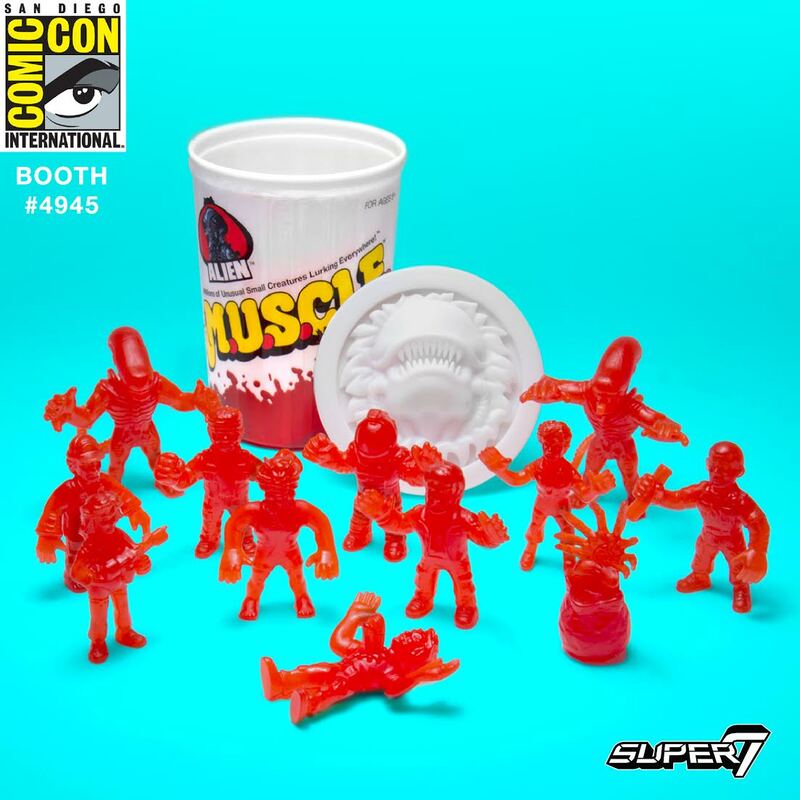 Super7 will be releasing three awesome San Diego Comic-Con 2017 exclusive M.U.S.C.L.E. rubber mini figure sets based on the iconic sci-fi/horror Alien franchise! First up is the Blood Red Variant Alien M.U.S.C.L.E. Trash Can Set ($20). It includes all twelve 1.75” figures from Wave 1 in a beautiful blood red colorway packaged in a white trash can with an embossed Xenomorph lid. The second San Diego Comic-Con 2017 Exclusive Set is an Aliens M.U.S.C.L.E. 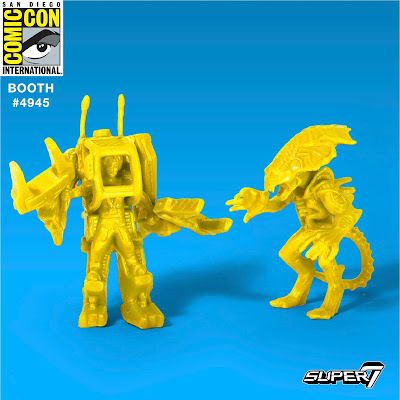 2 Pack with Ripley in Power Loader and the Alien Queen. This is the first Aliens M.U.S.C.L.E., but definitely not the last! This Yellow Variant Set retails for $10. Collectors can purchase both exclusives at the Super7 SDCC booth #4945. 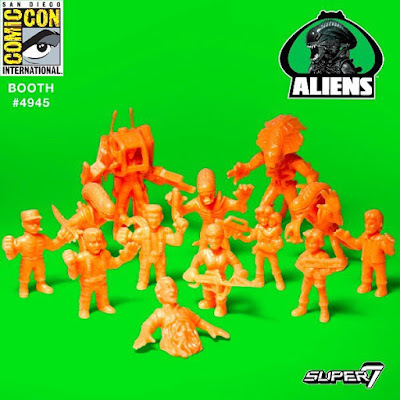 The third San Diego Comic-Con 2017 exclusive set is also the very first release of Super7's new line of Aliens M.U.S.C.L.E. mini figures based on the iconic film by James Cameron. How awesome is that torn in half Bishop M.U.S.C.L.E. keshi!?! Plus we get a Newt figure and a ton of colonial marines. So what’s not to love? Not much is known about this set, but I have a feeling that it’s release will make fans of the franchise very, very happy!